Like me?Add me to your Favorite! If you have any errors or questions,please post it in the comments. Please support your errors with a screenshot. 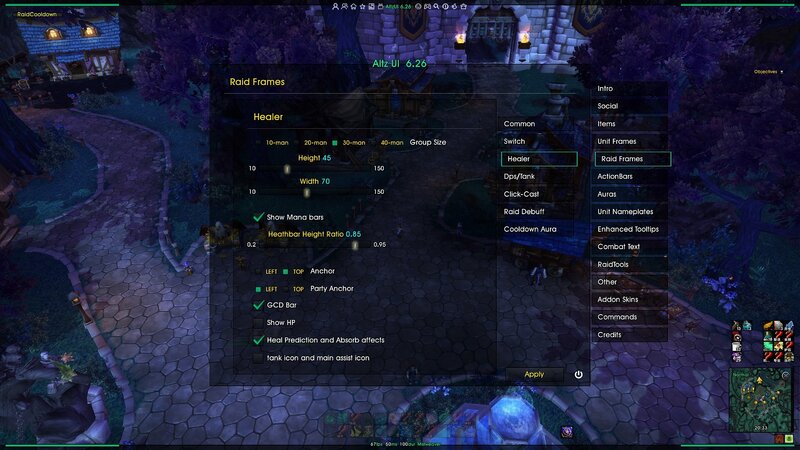 Altz UI is a minimalistic compilation with in-game configuration supported. I wanted to make a UI which gives people the feeling of hiding almost all UI elements, just like after pressing Alt+Z, and that is the origin of the name. It was fisrt released at November 11, 2011. The theme of AltzUI is simplicity. It only shows necessary elements when you want to see them. Also its memory useage and CPU footprint is very low, with only 2 ~ 3mb it is able to complete most of the functionality you need. Please read the all the tips in the tutorial appearing later, it gets you started in no time. If you have any errors or questions, please post it in the comments of the addon's page in wowinterface.com. Please help by spreading the word about this UI by recommending it to your guild members and friends. Thank you. Class Color-- custom class colors. Many thanks for completing locales. How to change font? / Why all font string appears ??? to me? How to hide/show the MicroMenu, RaidTools, and Config buttons? Click the edge of them. How to change the Class colors? How to show more actionbars? How to move chatframe?How to change the size of it? Right Click the first tab of chatframe → Unlock. It's under player unitframe, the yellow one. How to show the calendar? How to disable summon little pet? If you would like to support my work. Here's the donate button. Add options to show AFK screen on login seperately to when AFK. Fix bug of left over main action bar page number display, now its hidden. thankts to LunaEclipse73 and Elricfae! disable position on map, probably make memory leak. add portuguese local, thank Azganoth! Update for BFA. need more feedback. add some buff to default buff list of raid frames. fix bug for flyout buttons on actionbars. add corner indicators for Highfather's Timekeeping and Ishkar's Felshield Emitter. Add an option toggle for vehicle in raid frames. Remove other priests' POM on raid frames. Add a few raid debuffs. Merge english locale from kkthnx, tyvm! new feature:Durability frame and vehicle seat indicator are movable now. Add a lot of debuffs to default lists for M+. Reset the dungeon debuff list to load default settings. change some frames' default positions. clean up debuff spell ids in ToS. new feature: Export/Import AltzUI settings. bug fix: Power text in Numberic Style player nameplate moved to bottom of Health text"
bug fix:hide cooldown bings when the actionbar is faded. bug fix:Raid frame show debuff icons you can dispel correctly. new feature: Display the vignette-ids introduces with 5.0.4 (chests, rare mobs etc) with name and icon on screen. 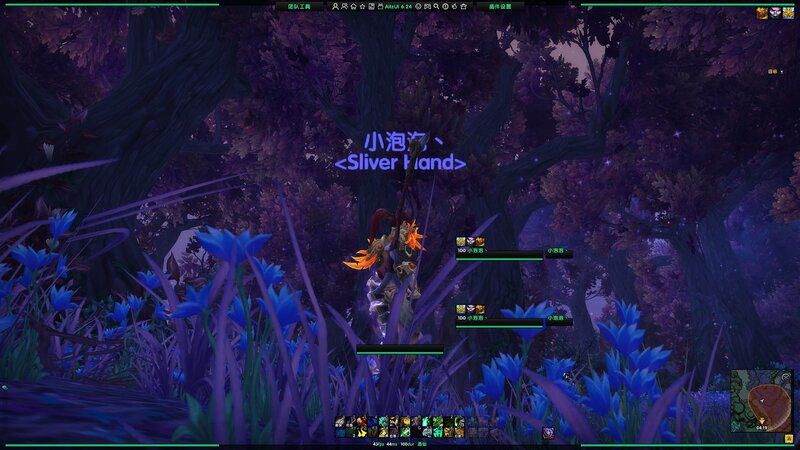 new feature: Flashes the taskbar when ayou are alt-tabbed and queue for raid finder, battleground pops up. reverse changes, just hide the annoying pop-up dialog box. The bug still exsits! boss name display bug fixes in fight with two or more bosses. The elements in info bar are neater now. Info bar is movable now. Use icons instead of text in micromenu. Micromenu is movable now. Show world latency in infobar. Show both world and home latency in tooltip. When you unlearn and learn spec, the layout will change now. 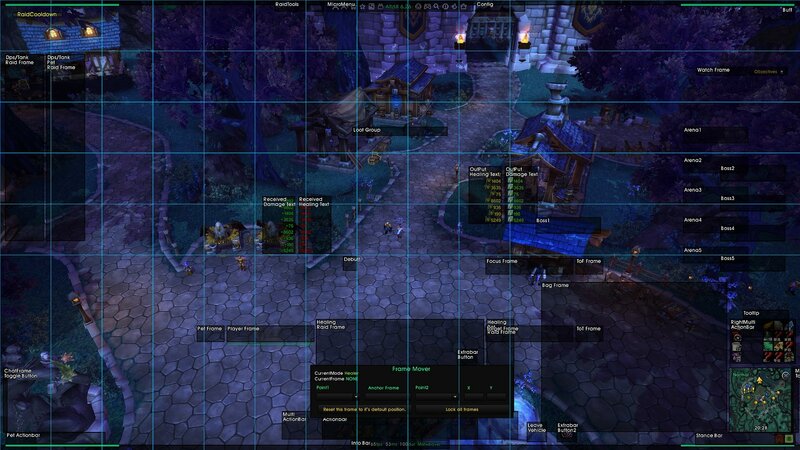 Change the texture of some buttons in GUI and Raidtool frame. Debuffs icon on pet frame is shown on top of it. 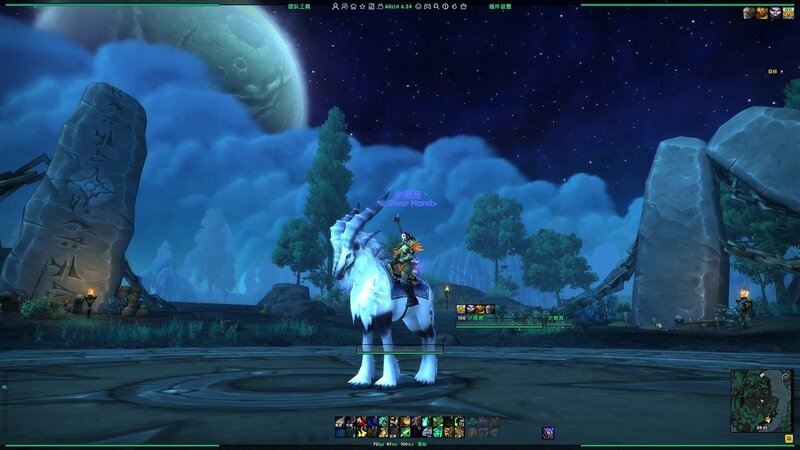 Change the default position of pet actionbar. Fix a bug which causes many functional failure in Social and Other tab in GUI. You can toggle equip sets menu by click Durability button on info bar. Include addonmanager in AltzUI. You may delete the older file. Add an option to change the grow direction of stance button on stance bar. 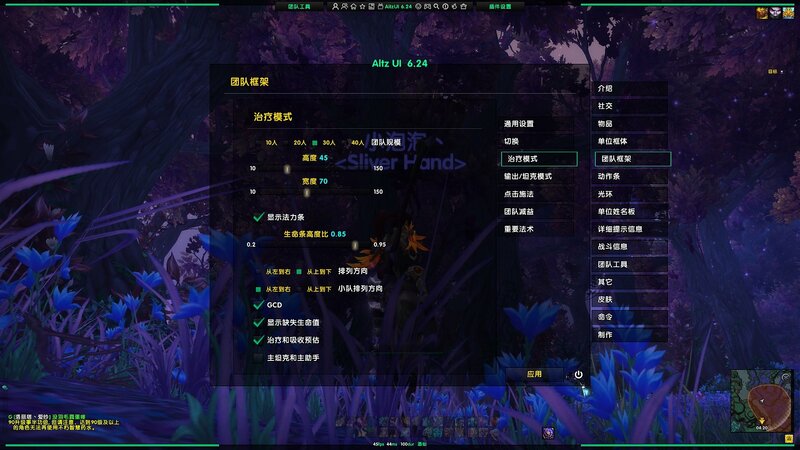 Change layout of the UI, rewrite micromenu and info bar. Gold tooltip is attached to money button on bag frame now. The color of watch frame is brighter now. Option to change damage text icon size will also affect fontsize now. Delete the option to change the color/alpha of unitframes. But you may find 3 themes at the Others option page in GUI. GUI button is moved to game menu. the fontsize of text of aura icon on unit frames depends on the icon size now. Try to fix pet model taint. Delete damage meter button in the bottom left menu. Can't Unlock frame in combat now. Fix a bug that buttons at the bottom are not clickable. ver5.50 is a very important update. I almost rewrite the whole addon, so please follow steps below when update. 1 Backup and clean your Interface folder. 2 Search and delete AltzUIConfig.lua and AltzUIConfig.lua.bak in WTF. You may also delete any files which name include oUF, because the unit frame mod is built in AltzUI now that you won't need them any more. 3 Unpack the package you downloaded. 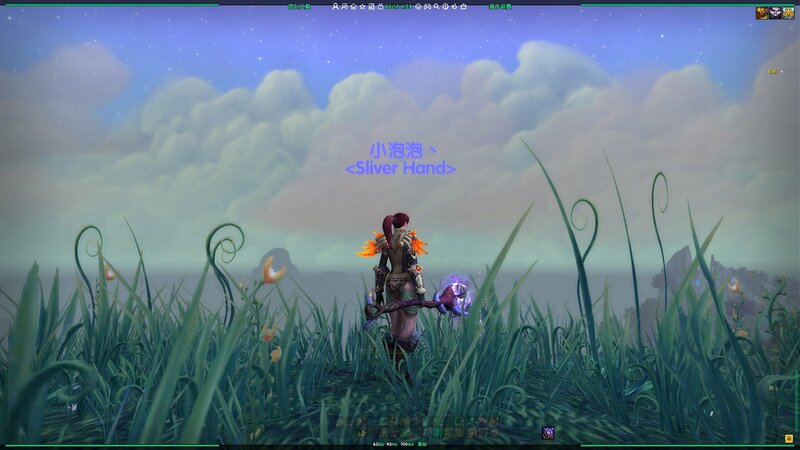 I replace the font of the addon with a Chinese font, which is 13.4 MB(containing Chinese and English words), so the addon seems much bigger than before, but that won't affect the memory usage so don't worry. If the text in game are display correctly, you don't need change it, otherwise you should replace the font.ttf in Interface\AddOns\Aurora\media. 4 Lo-gin the game. The new tutorial will gets you start easily. After you complete that, put other addons into the addon folder. adjustment : make raid icon on unitframes a little bigger. adjustment : health bar in tooltip are thinker now. neaten AOE filter list for combat text. raid cd : set the cd of Avert Harm to 180.
auto accept rez won't accept in battle anymore. auto accept invite works properly now, and it won't accept when queuing. try to hide backdrop when mirror timer isn't showing. now you can disable bag mod in GUI. add some button on character frame to show/hide helm/cloak and undress all equipment. skin most of the frames with Aurora. reset all setting won't affect other addon settings now, just reset AltzUI. Most of the file structure has been changed! Please delete/backup Interface and WTF folder before update! please delete WTF folder before update! rActionBarStyler -- new actionbars layout! aTweaks -- combined raidCD testing and moving command. just use /raidcd to test/move it. rActionBarStyler -- I think it should work properly now. aCore-- afk screen changed.some textures removed. style flyout buttons.Actionbars will show when hover on flyout buttons. mouse-over fader are now independent of event fader.You may choose to enable either or both. micromenu is 80% sized of before. Most of the code have been changed. Please delete the old version before update! Are there any ways to disable the player and target frame? PPPLLLEEEEAASSSEEE come back and update and for 8.2 PPPLEAAASSEE we know you are busy could you release all the stuff so maybe someone can take this project over? Paopao is cured.....but lazy now? how big of donation does Paopao need to not be lazy to fix this? donate is not problem i think, i lose contact from paopao, damn busy job. AltzUI Contributor for Feedback ONLY. Yes. 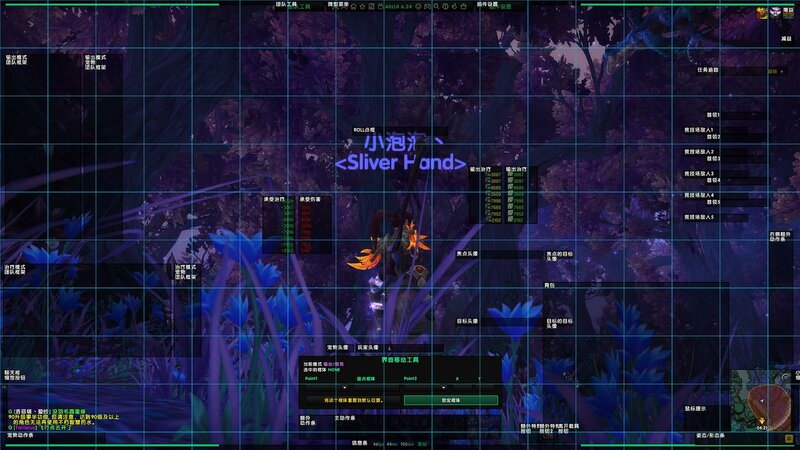 Click Config, Addon Skins, Uncheck Top Decorative Bar and Bottom Decorative Bar. You can also leave them on and go through the 6 options below that to see if you like any. EDIT: DOWNLOADING THE NEW AURORA FROM GITHUB REMOVED THE LUA ERROR! Hi! Testing your UI. After initializing it. (*temporary) = "attempt to index a nil value"
When i open DBM options the fonts seems to be not working as intended, The text goes outside the addon. WHen i try to adjust the font size of the DBM bars they dont change at all. Will be trying this in the raid later tonight. Last edited by mathswk : 03-27-19 at 12:48 PM. Love this UI, thanks for all the work on it. Hopefully development on it will continue. I had that happen after this last big patch. I haven't seen it again after updating the AuroraClassic people have linked below. Not sure if that fixed it or if I've just been lucky. Last edited by loci : 03-21-19 at 04:10 PM. Any know how remove the bar and buffs under char? To turn that off it should be under Unit Nameplates, click off Show My Nameplate to get rid of the bar or if you just want the buffs gone uncheck Show Aura Icons on My Nameplate. Last edited by loci : 03-19-19 at 05:16 PM.